Tax planning and preparation for Individuals and Businesses which includes ITIN preparation as IRS Certified Acceptance Agent, Streamlined Procedures Filing, FBAR, FATCA and PFIC Filing, Non-residents tax filing, expatriates tax filing and related consultations. 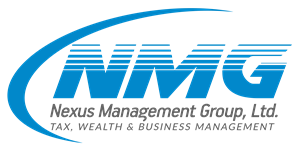 Financial planning and investment management * which includes IRA, 401k, Mutual Funds, Retirement planning, Education planning, Life insurance and Annuities. Assistance with starting and operating your business in any state in the US - Incorporating, Payroll processing, Sales tax filing, Bookkeeping, Tax Planning, Business Process Outsourcing and Management consultations. Audit, Review and Compilation. Setting up subsidiaries in US or India. * These services offered by Roy Vargis through his affiliation with HD Vest.